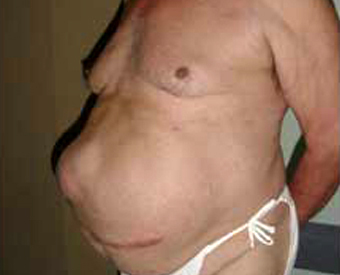 Most patients may qualify for a laparoscopic incisional hernia repair. There are a number of reasons that may not make a patient the ideal candidate for laparoscopic incisional hernia repair. These will be discussed by Dr Botha during your visit. Please refer to the Laparoscopic Incisional Hernia page. Open surgery has more or less the same type of complications that we find with laparoscopic repair. Please ask Dr Botha if you need more information.